Attendants at the Mason Welcome Week Event: World’s Largest Game of Dodgeball on Sept. 3 are now learning their world record attempt was bounced by another university: University of California at Irvine. 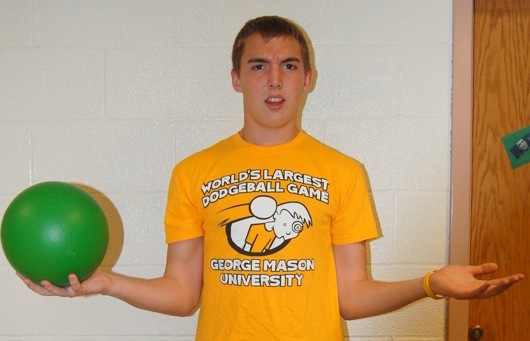 According to the Guinness Book of World Record’s website, on Sept 22, less than three weeks after Mason’s attempt, UCI amassed a greater number of “dodgeballers” with 1,745 participants in the match, eclipsing Mason’s total of 1,257. Mason had been seeking approval for their record, which at the time had topped the previous record won by nearly 1,198 students at the University of Alberta. Dennis Hicks, Associate Director at the Office of Student Involvement, says Mason will give it another shot next year. “We will try again in the fall. But we have to remember, we can’t get bigger than the football field,” joked Hicks. Hicks also discussed plans to make the Guinness Book approval process quicker next year. “We really want to get someone from Guinness Book of World Records here with us to oversee the event,” said Hicks.